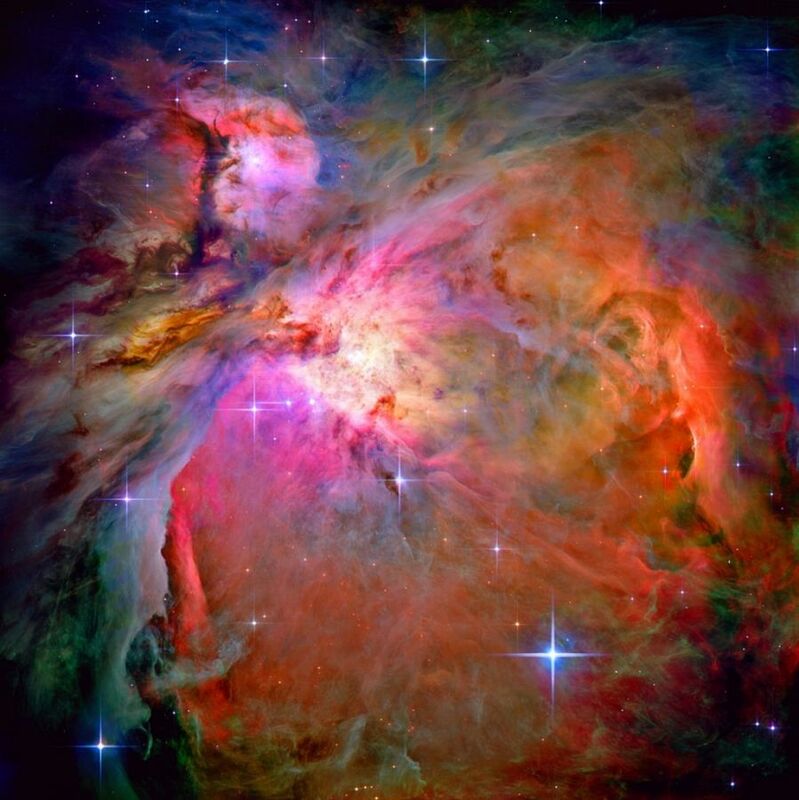 If you were to ask what is one of the most famous nebulae or images of a nebula in astronomy it’s the great Orion Nebula or M42. This gorgeous emission nebula or diffused nebula is located about 1,344 light years from Earth in the constellation Orion, south of Orion’s belt. What’s interesting about this nebula is that it’s moving away from us at 17.5 km per second! 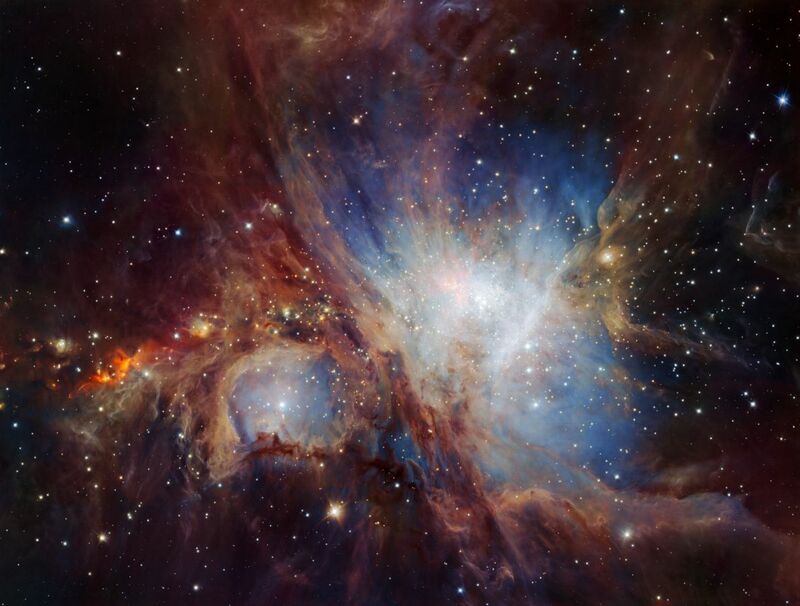 If we were going to compare the size of our Sun or mass of our Sun to M42 it would take 2,000 solar masses. The nebula has been churning and burning hydrogen and oxygen and other elements for 300,000 years in the universe. 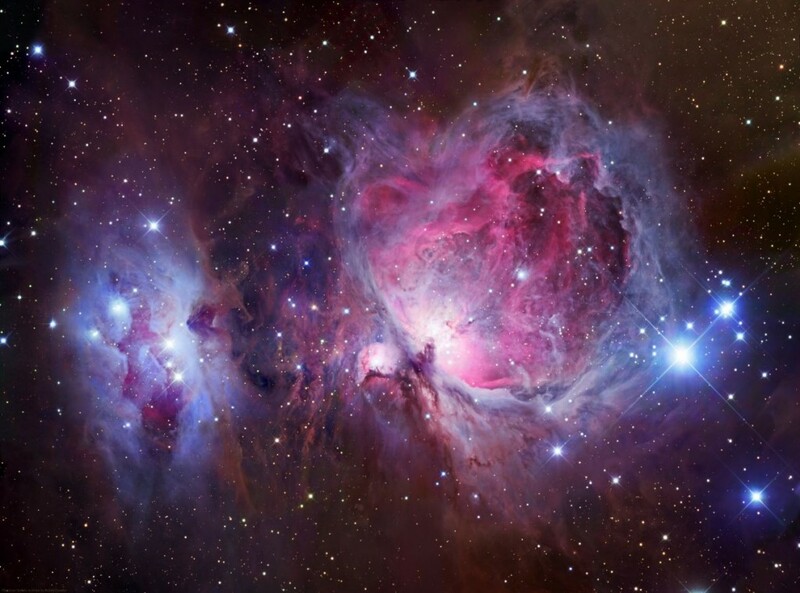 Deep within the heart of M42 is an enormous amount of energy that is causing this beautiful glow. The source is actually a young star burning bright called the Trapezium. Looking at the temperature of this nebulous cloud it actually reaches a whopping 10,000 K or about 9,726 C! It may not be the right temperature to cook a pizza (or anything for that matter) but as you go out towards the edge of the cosmic cloud the temperatures drop dramatically. 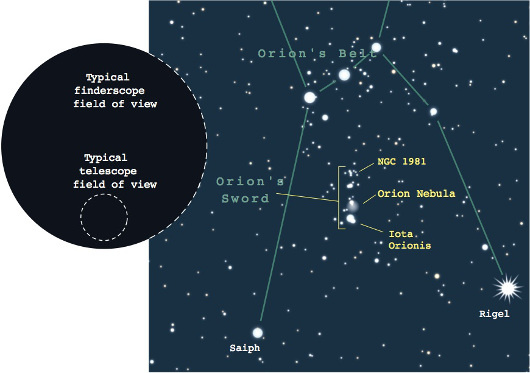 You can actually see the Orion Nebula if you look for Orion’s belt in the sky. You first find the middle star in his belt and then look south from there and you will see a faint star that looks like a smudge in the sky. Your viewing conditions will have to be pretty good to see it clearly, but even in light polluted areas, you’ll able to get a photo of it with a digital camera! 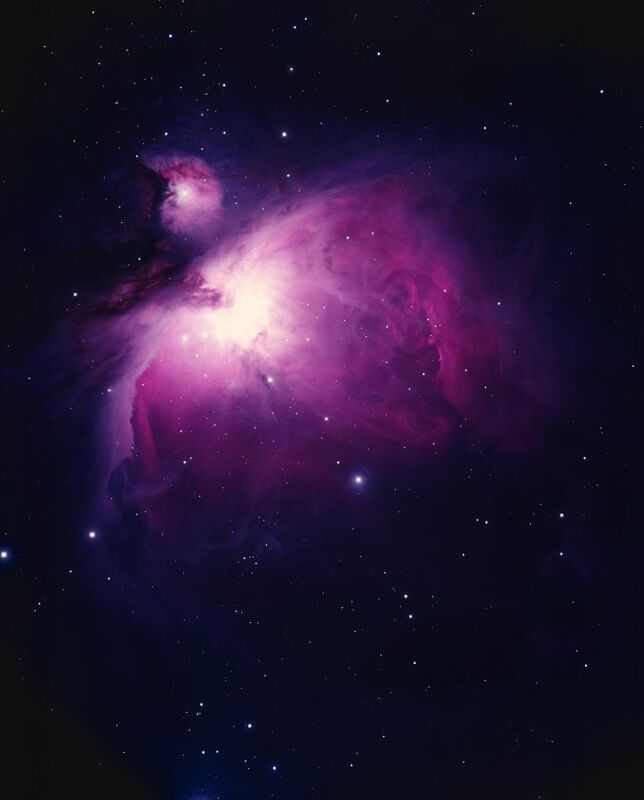 Here's the famous Orion Nebula or M42! 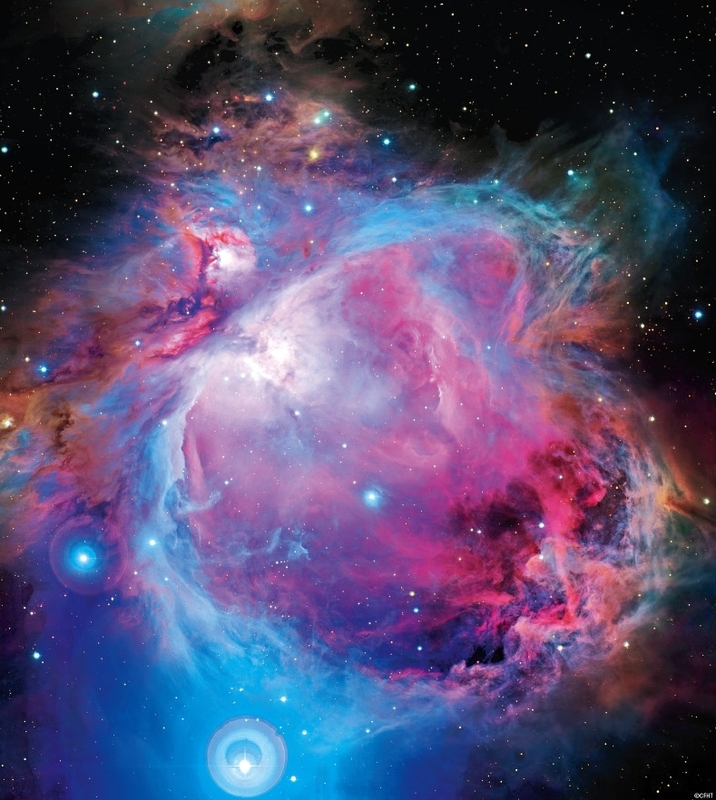 Check out why this beautiful nebula is so well-known in astronomy.